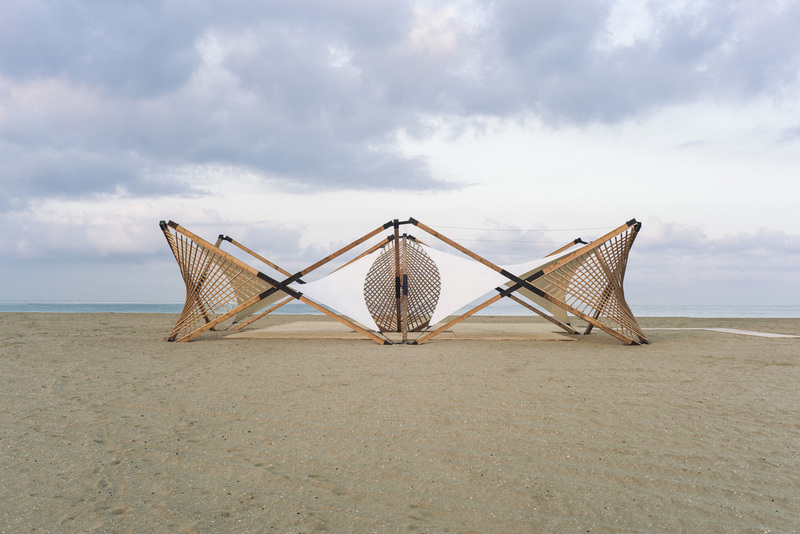 Wood, metal ties and rope come together in this lightweight structure designed to raise awareness of Lebanon’s rich marine biodiversity. The Tyre Nature Reserve Hub, named MARAH, was designed by Architecture students from the American University of Beirut, who used the project as an experiment in building lightweight and temporary systems, as well as creating spaces that have a large social and programmatic impact. Some of Lebanon’s longest sandy beaches are located in the Tyre region, which is a regular nesting site for endangered Loggerhead and Green Sea Turtles. It also serves as a habitat for region-specific wildlife, including the Arabian Spiny Mouse and the Red Fox. Phoenician springs and freshwater estuaries dominate the Ras el Ain area which facilities a diversity of marine life, and a large part of this region has been turned into a protected area. 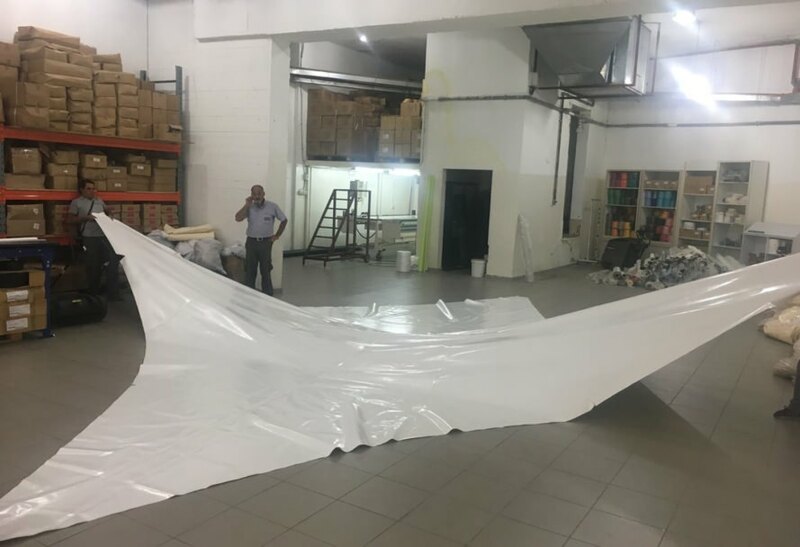 Despite this, the Tyre region has seen severe destruction and devastation, which acted as impetus for creating a temporary pavilion that would help spread awareness of the importance of conserving marine biodiversity. 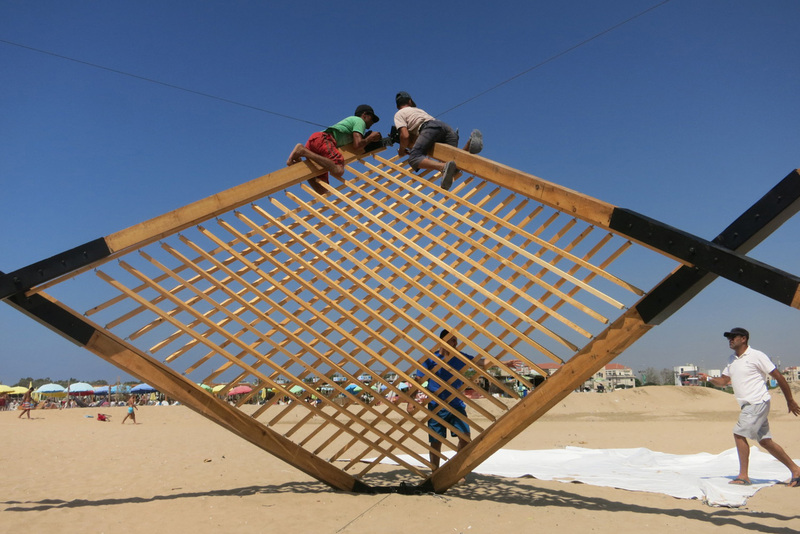 Architecture students from AUB’S DI-LAB (Design Impact Laboratory) partnered with environmental consultants and the Tyre Coast Nature Reserve to create a structure on the beach for the nature reserve. 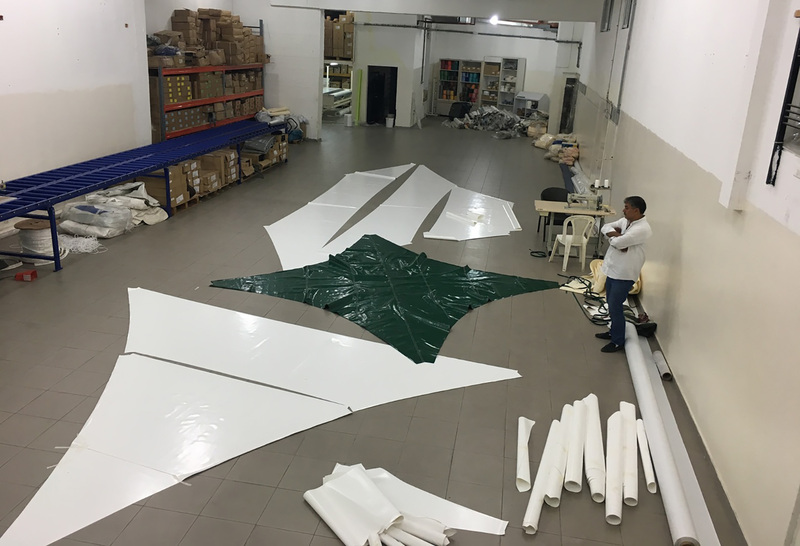 MARAH acts as a hub for meetings, presentations, training, exhibitions and more. 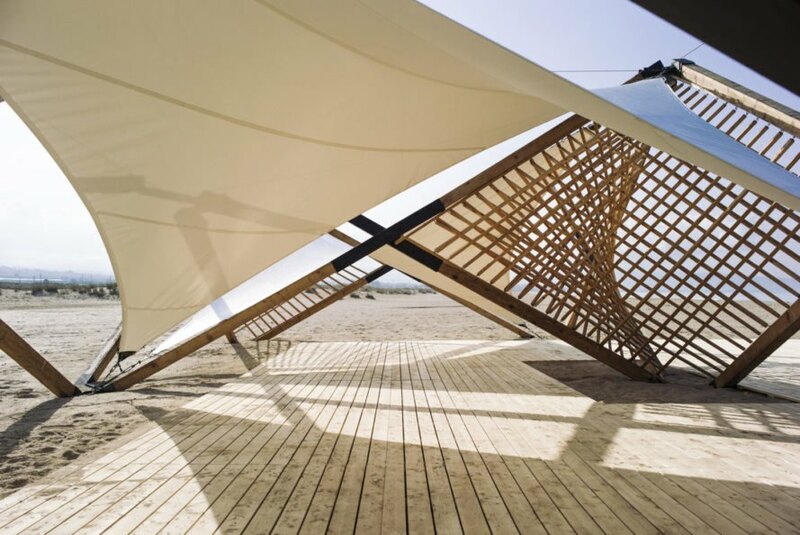 The pavilion was built using wood, metal ties and ropes and addresses the idea of creating a space that simultaneously generates a large social impact and minimal site impact. 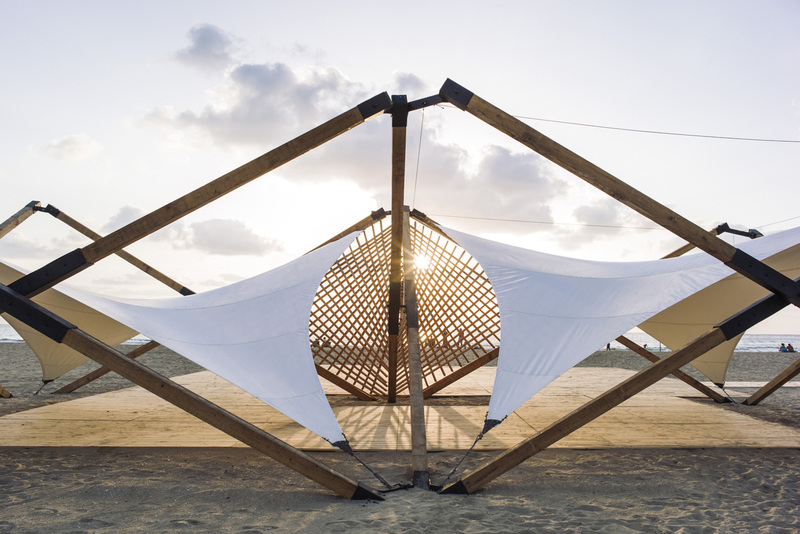 Wood, metal ties and rope come together in this temporary space in Lebanon, forming a lightweight and deployable structure designed to raise awareness of the importance of marine biodiversity. Some of Lebanon’s longest sandy beaches are located in the Tyre region–also a popular nesting site for the endangered Loggerhead and Green Sea Turtles, as well as the home of several species of local wildlife, such as the Arabian spiny mouse and the Red fox. Phoenician springs and freshwater estuaries dominate the Ras el Ain area, home to a diverse array of marine life. 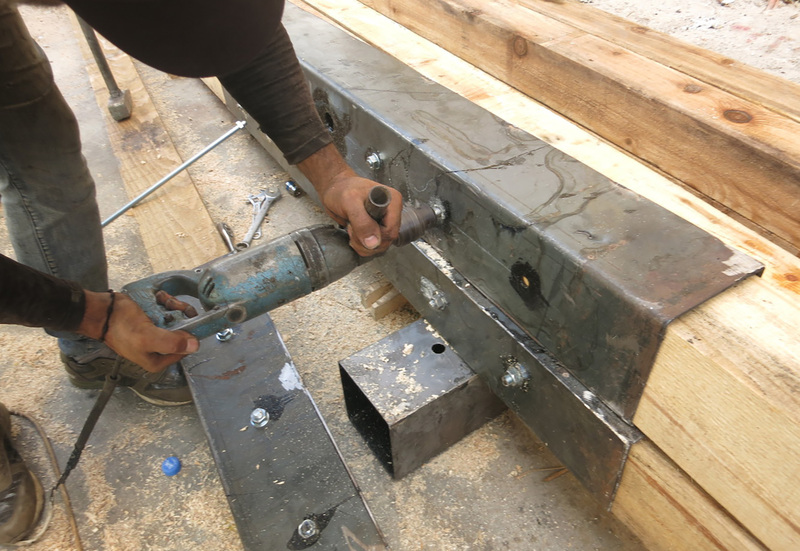 A large part of the Tyre region has been turned into a protected area. Sadly, the Tyre region has seen severe destruction and devastation, which acted as an impetus for creating a temporary pavilion that would help spread awareness of the importance of marine biodiversity. 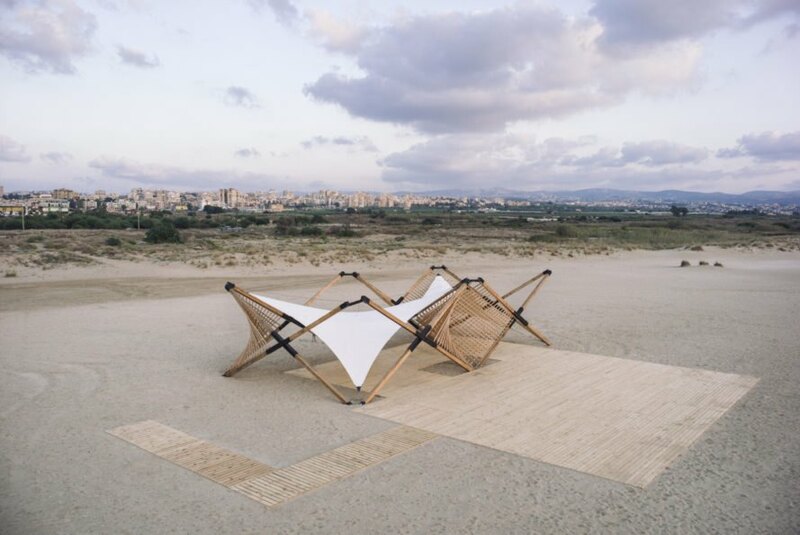 Architecture AUB students from the DI-LAB (Design Impact Laboratory) teamed up with environmental consultants and the Tyre Coast Nature Reserve to introduce a structure that acts as a hub for the Tyre Coast Nature Reserve. 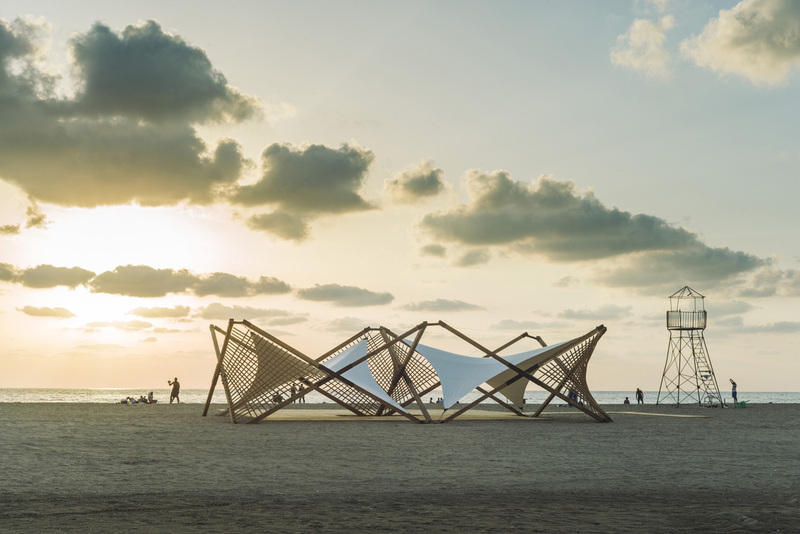 The hub is located directly on the beach and acts as a meeting point, an information point, a presentation pavilion, an exhibition space, and a training center, among other things. 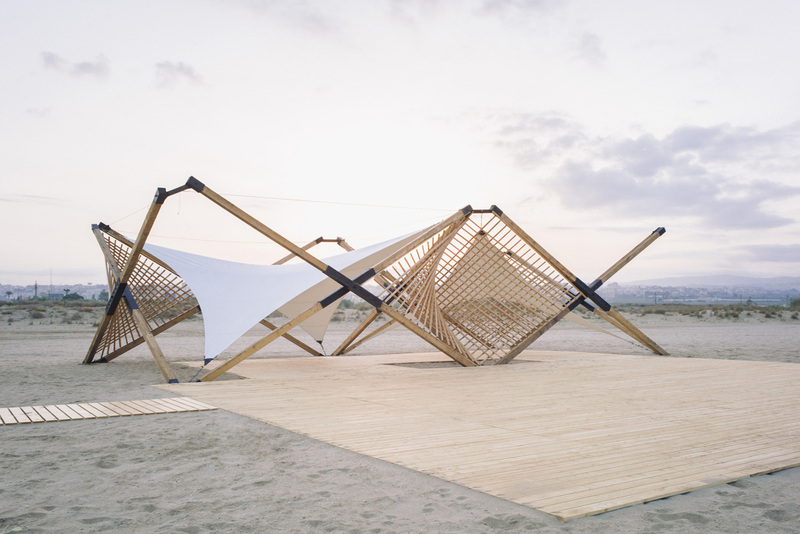 The pavilion was built using wood, metal ties and rope, and addresses the need to create spaces that simultaneously generate a large social impact and minimal physical impact.